Discover La Porte's only faith-based educational experience that instills selflessness, acceptance, and love within every student.  As a member of the Indiana District of Lutheran Schools, everything we do is designed to help students cultivate their God-given gifts. From accredited academics, to competitive athletics, to opportunities to serve others in our community, we are all about helping students grow. Students attending Lutheran schools consistently score above the state average in standardized testing. Our elementary-school graduates are readily accepted into all local high schools, public and parochial, often moving right into various honors and Advanced Placement classes. The educational foundation built by St. John's puts students in good stead for acceptance into top-tier colleges and universities, including Ivy League schools and military academies. To facilitate the highest level of academic achievement, Lutheran schools provide structured, disciplined, faithful environments that are conducive to learning for students from preschool through high school. In these environments, we develop critical-thinking and problem-solving skills, stimulate creativity and curiosity, ingrain the responsibilities of citizenship, and foster brighter futures. All studies are based on Indiana state standards and incorporate textbooks adopted and accepted by the state. Our curriculum also includes other components vital to a well-rounded education, including faith instruction, physical education, computer technology, art, music (general, vocal, and instrumental), and language. Our highly dedicated, professional educators are more than teachers. They’re coaches, advisors, mentors, and friends. They have years of experience in Christian education, and many have already achieved or are pursuing advanced degrees. Through their passion and commitment, teachers instill in students a lifelong love of learning. In addition, the parents of our students tend to be more involved in their children’s education. Parents help in the classroom, work in concessions during athletic events, chaperone field trips, participate in school fundraisers, and turn out in good numbers for performance events. Moreover, parents serve as outstanding ambassadors in the greater community, sharing their enthusiasm for St. John's with friends, family, and co-workers. Our low student-to-teacher ratio at all grade levels allows teachers to provide individualized attention that challenges students intellectually and helps them over learning hurdles. Students remain engaged in learning and motivated through the day. Students and teachers form faster and stronger bonds than in classes with more students. These bonds lead to increased student participation and, thus, more success in the classroom. While teachers provide personal attention to each and every student, they also give students the independence to pursue their own interests.